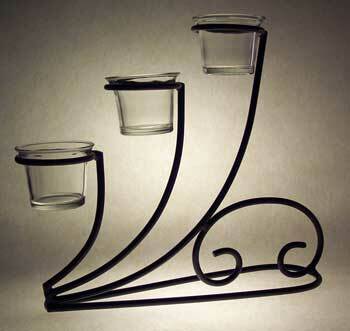 Wrought Iron votive or tealight holder. Three tier with glass cups included. H - 9.5" W- 10.5"